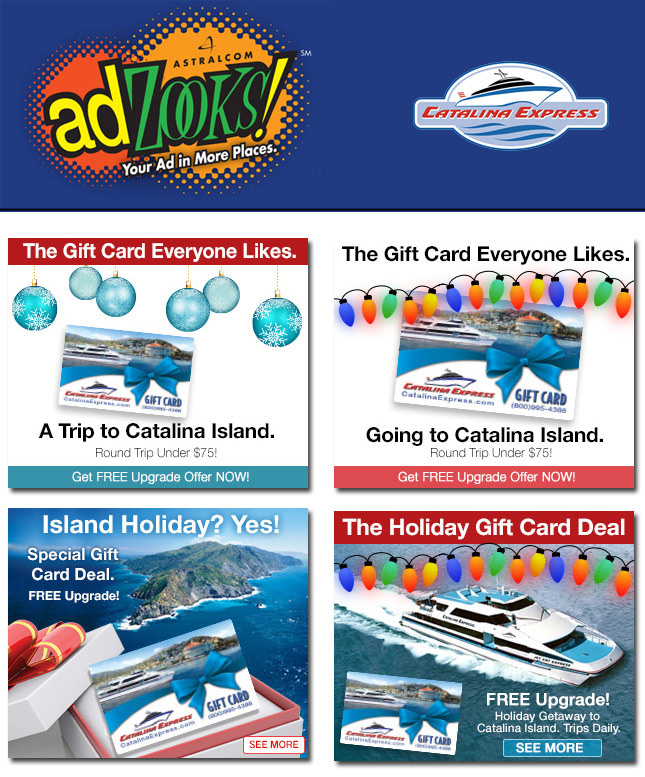 Catalina Express Chooses ASTRALCOM’s adZooks! to Reach New Local Audiences | ASTRALCOM - Content Strategy, Conversion Marketing and Customer Acquisition. Advertising during the holiday season is always a tough job. You can imagine the amount of advertising messaging the typical shopper encounters. Typically, response and ad click-thru rates are low. It makes sense because the market is flooded with messages for year-end specials and holiday deals on all sorts of stuff. Connecting with consumers, of course, becomes more difficult. Making that all-important connection is easier, though, when the creatives and messaging are captivating and the subject matter is interesting. Like a trip to Catalina Island! Catalina Express wanted to reach new local shoppers during the holiday season. The offer was straightforward – consider going to Catalina Island as a gift. In all fairness, though, who wouldn’t want a gift like a trip to Catalina Island, for any occasion?